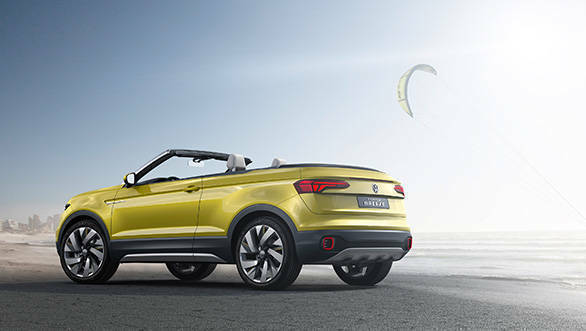 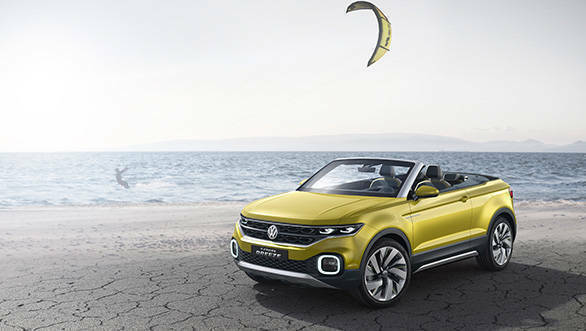 Volkswagen has showcased the T-Cross Breeze concept, a convertible compact SUV, at the 2016 Geneva Auto Show. 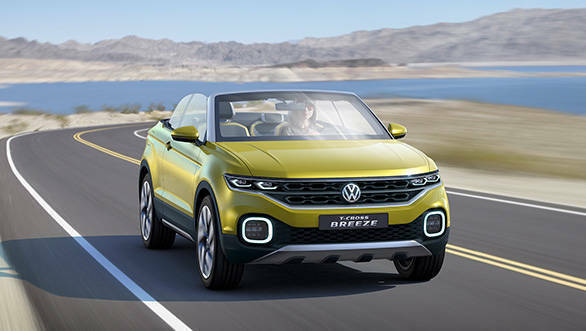 The Volkswagen T-Cross Breeze concept has a very modern face that doesn't quite resemble any of the other cars from the portfolio. 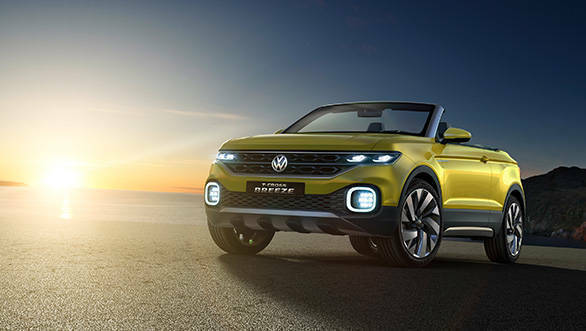 The square LED DRLs accentuate the square-ish front end, while the large grille with the neatly integrated headlights gives it a burly SUV-like stance. 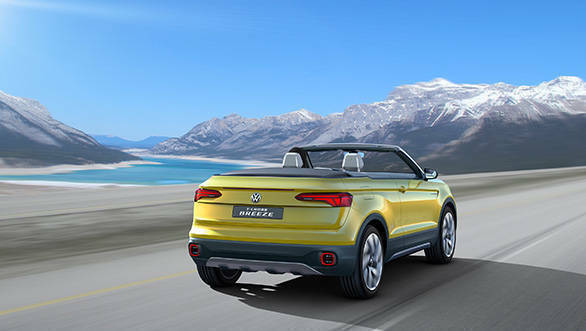 The rear meanwhile gets Audi-inspired lights and neat creases that make it look more car than SUV. 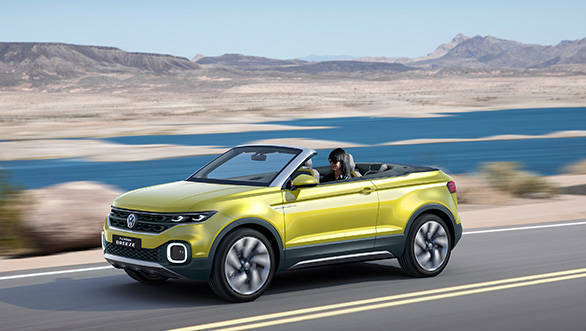 With the roof up, the Volkswagen T-Cross Breeze concept gets a coupe-like like tail end. 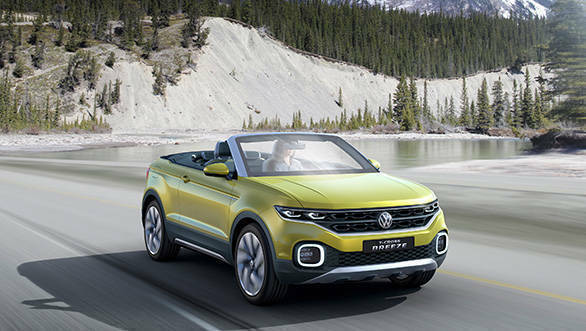 It measures 4,133mm in length, which is just 162mm longer than the Volkswagen Polo, while the wheelbase measures 2,565mm. 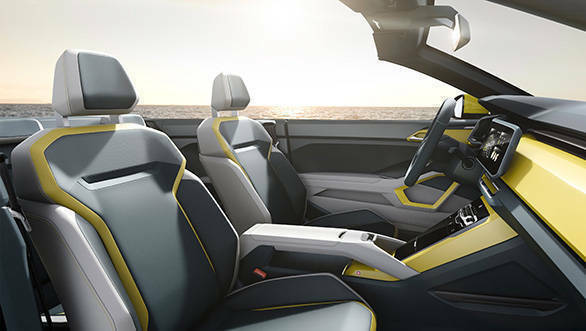 The interior features a digital instrument cluster while the centre console has touch-sensitive panel that controls the various functions and a large touchscreen infotainment system. 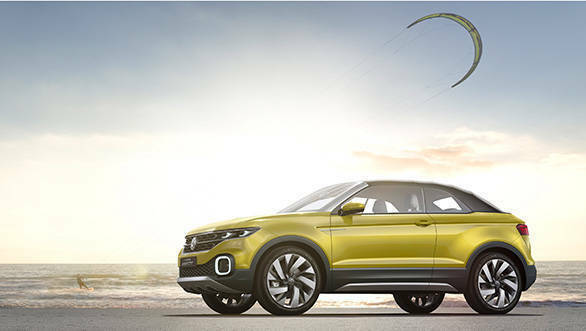 Scroll down to see the images of the Volkswagen T-Cross at the 2016 Geneva Motor Show.